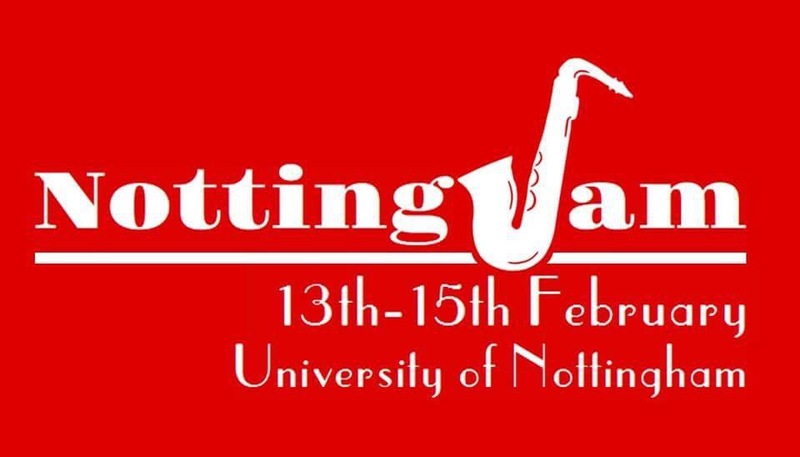 NottingJam is here! 13-15 Feb 2015 – join us tonight at for a fab swing social dance. Many of you are already half way through this brilliant weekend of fun and merriment happening this weekend in our fair city. We had a brilliant welcome party at Late Night Lindy @ Bunkers Hill last night and dancers are now coming to the end of 5 hours of fabulous Lindy hop classes from some amazing teachers from London, Liverpool, Leeds, Durham and Nottingham. Cat & Cam, Matthew & Jenny, Nigel & Debi, Alex & Leanne. The good news is there’s a big swing dance tonight in the Great Hall in the Trent Building at Nottingham University and ALL ARE WELCOME!! Tickets are £7 on the door, doors open at 8pm and finishes at 1am. There’ll be live music from Me & Mr Jones, a Jack and Jill Lindy Hop comp and lots and lots of dancing. Remember that there are no classes this Sunday at The Old School Hall in Sneinton as we will all be at NottingJam. Come join us! Here’s the specific event for tonight’s dance at The Great Hall.